The company aims to meet the needs of all the building trades, manufacturers, farmers, DIY enthusiasts and the education sector. Most items are available from the extensive stock range that we carry (see Sales page), and with our large hire fleet (see Hire page) customers can “Try before they buy” those major equipment purchases. Details are available from our experienced staff, who are here to help. In 1979 they purchased land at 8 St. Andrews Industrial Estate and built a new hire shop and stores. 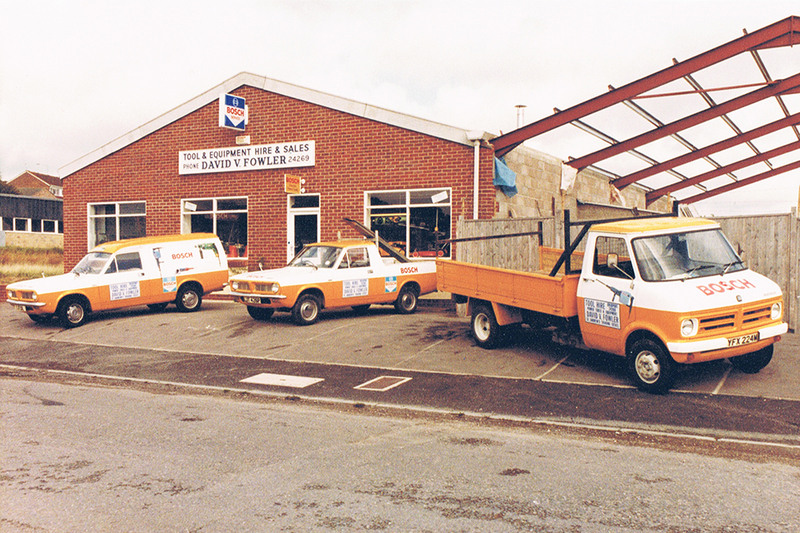 They gave up building in 1980 to concentrate on the hire side of the business, adding sales items, plus offering a repairs service for power tools etc. They were joined by their son Martin, who after working in all departments in the firm, including the workshop, became a partner in 2000. Fowlers became a Private Limited Company in December 2002, and now trade as Fowler Hire & Sales Ltd.
By 2003 the business had outgrown their existing premises and once again they expanded by buying a much larger site at 2/4 St Andrews Industrial Estate opposite their old site, to house a large showroom, stores, offices, workshops and yard. Now they are able to meet all customers requirements in a friendly, professional and efficient way. 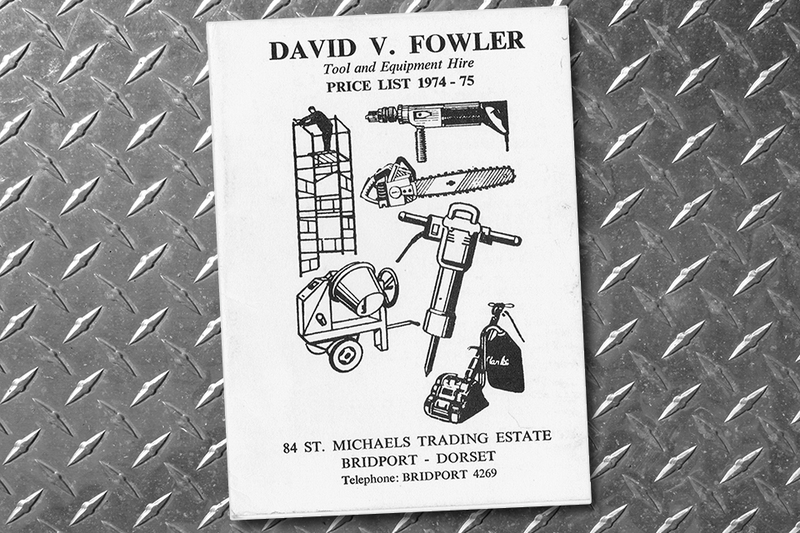 Fowler Hire & Sales Ltd registered in England & Wales.